Did HIIT yesterday with 18 resistance on the bike for the sprints. Lifted today and here's what I did today. Deadlifts 220 for four sets of 8. I didn't notice that I had put on 35s instead of 25s so it was 20 pounds heavier overall. Wiped me out but I did it. I will go back to 200 on Saturday and expect to get higher reps.
Squats 165 for 3 sets of 8, and one set of 9. Incline Bench 125 for four sets of 8. Assisted Pull-Ups, I'll start with -40 pounds for four sets of 8. Overhead Press 60 with barbell for three sets of 8 and one set of 9. Curls 50 with barbell for three sets of 8 and one set of 9. I still think I'm new enough to do full-body workouts 3 times a week. I'll be on this type of routine until mid-February. Then I'll switch to a power routine, probably 4 sets of 5 with much heavier weight. The over heavy deadlifts made the rest of my workout and my day harder. I've done this before so it's just a matter of slowing down and paying more attention. Workout based on 70% of 1 rep max is a lot harder than what I was doing! Everything was 4 sets of 8. I overestimated on the second three exercises thinking I would be doing sets of 10. I'll stick to sets of 8 this week unless they suddenly feel like I can get in 9 or more on the last set on Thursday or Saturday. Checked my body fat and it is at 23% (up from 22) and my lean mass is 119 pounds, which is up. So I am probably gaining muscle and not changing my bodyfat percentage. My adjusted Fat Free Mass Index is 20.7 and I think the last time it was 20.1. So some progress all the way around. Let's see what the next 10 weeks brings. I would like to dedicate this post to all of you who have been supportive because I'm working to reverse my diabetes without medications, and to those of you who have been supportive about my getting in shape in general, and to those of you who are supportive about my getting stronger. THANK YOU! Did my High Intensity Interval Training (HIIT) workout with the resistance on the bike set at 18 for the 20 second sprints. I've been in touch my trainer, Lee Sillas of The Power Plant, and I think this is what I will be going for between now and mid-February. I'll start tomorrow with 3 sets of 6 and one set of 6 or more. If that seems easy I'll do sets of 8 on Thursday. I'll go up 5 pounds a week or more often if I can get to sets of 12 during the week. My hope is that by the end of April I'll be able to squat 245, bench 230, and deadlift 295. Since I'm somewhere between a beginner and intermediate I may go up more. Hopefully the strength training after mid-February will get me there. The challenge will be to see if I can do this and end up weighing in around 145. I weighed about 158 today, up 5 pounds over the long weekend. Well, enough about all of that below are some tools. If there are things you want to know about that I'm not mentioning please let me know. Symmetric Strength has lots of tools for understanding where you are compared to averages of your weight and gender. Also has some info relating to age. Has things like "ideal" weight projections based on sport and more. Body Fat Calculator - this one seems easy and for me appears to have some accuracy. Fat Free Mass Index - another measure that is helpful because someone lifting regularly can't count on body mass index (BMI) since that only takes absolute weight and not body fat. Maximum Muscular Bodyweight - a guesstimate on maximum muscle mass potential. It is a special week. Deload week, kind of, and 1 rep max testing week. I did High Intensity Interval Training with no added resistance to the bike. 20 second "sprints" with 2 minute recuperation periods. On Monday I lifted for four sets of five repetitions. I will repeat this either Friday or Saturday and do HIIT the other day. I was not expecting to go that high on any of those lifts so I am very pleased. I'm fighting a slight cold and had not eaten before lifting so I was in a somewhat fasted state. (EDIT) Almost forgot to say that I had some wonderful support from friends and family who hung out while I lifted weights for a little over an hour! Thank you so much! Something I am truly grateful for. One was the friend who introduced me to the trainer and gym, and she was doing this inspiring weightlifting workout. I want to compete in the 148 weight class and am at 152 now. So it will be tricky to lose 5 pounds and gain strength. If I can at least keep this I will be happy. I need to talk to my trainer, Mr. Lee Sillas at the Power Plant. If I can do a Spring meet I can probably keep weight down. I think if I build enough muscle I may have to get over 148 and compete higher. I think the first competition in the lower category would be great. I'll check in with Lee on if I can go for hypertrophy for 3 months then strength or just stick to strength until after competing. I don't know how often I will compete if I do it more than once. That will just be played by ear. From looking at various resources here is what things look like. I would start at the lower end and build up. I'm going to follow what my trainer tells me and share that. However this is a good exercise for me. All numbers rounded to closest 5 pounds. For strength it looks like I'm pretty much on track. If I would continue as I have been going I would do 4 sets of 5 and increase my squat and deadlift accordingly as I have been going lighter than this. Went for my annual and I'm off another med. My back pain is reducing a bit. Overall feeling better. Did HIIT with the bike on 20 resistance for the sprints. It's easier and definitely not easy. Fighting a cold the last half of the week yet decided to keep going. I don't know if it was the cold or just the end of my work before deload but it was a hard day today for sure. 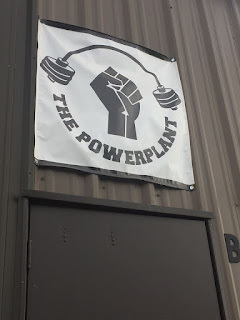 Next week is deload and going to The PowerPlant ABQ for max lift testing. November 11, 1887, 130 years ago today, 4 people were hung for their participation in the efforts to create an 8 hour work day that we take for granted now. Turns out they were not truly proven guilty. The 8 hour day which is clearly seen as a right now wasn't being blocked by foreign invaders. It was blocked by US business interests and our government, supported by armed forces such as police, state militias, and on occasion federal troops. I think it is important to remember this. Deadlifts 180 pounds for three sets of 5 and one set of 10. Squats 150 pounds for three sets of 5 and one set of 10. Incline Bench Press 120 pounds for three sets of 5 and one set of 8. I paused at the bottom to try and get that type of form down for this. Assisted Pull-Up -30 pounds for three sets of 5 and one set of 9. Overhead Press 55 pounds for three sets of 5 and one set of 12. I used slow eccentric on the last set. Dumbbell Curls 50 pounds for three sets of 5 and one set of 12. It was nice to run into people at the gym that I know and they asked for some help with Deadlifts. I'm not the best but gave some basic advice and support. Have done HIIT twice this week with 19 resistance on the bike. Still doing 20 second "sprints" and 2 minutes recovery time. Incline Bench Press 120 pounds for three sets of 5 and one set of 8. Assisted Pull-Up -30 pounds for three sets of 5 and one set of 7. Deadlifts 180 pounds for three sets of 5 and one set of 6. Squats 150 pounds for three sets of 5 and one set of 6. Dumbbell Curls 50 pounds for three sets of 5 and one set of 8. Thanks to a friend I'm watching a lot of Juggernaut Training Systems videos. The same friend who turned me on to the PowerPlant gym. In a quick check on my body fat and fat free mass index I'm basically in the same place. Maybe I'll have to adjust and be sore a lot next month. Or maybe I just stay steady. My weight is sitting around 152 instead of 150 now. I hope to compete in at 148 or lower for my first meet. We'll see how that goes! Would mean I need to get around 18-20% body fat instead of the 22 that I'm at now. I did workout on Saturday and I made it to gym today but all of the bikes were taken so I did my Vo2 Max test. I'm still weighing in around 150 pounds plus or minus two pounds on any given day. Here's what I did on Saturday and below will be my goals for next week. Deadlifts 175 pounds for 3 sets of 5 and one set of 8. Squats 145 pounds for three sets of 5 and one set of 8. Incline Bench Press 115 pounds for three sets of 5 and one set of 12. Assisted Pull-Up -35 pounds for three sets of 5 and one set of 11. Overhead Press 50 pounds for two sets of 5 and two sets of 12. Dumbbell Curls 50 pounds for three sets of 5 and one set of 10. Doing 21 minutes of cardio (actually 3 minutes if you only count the "sprints") is really hard for people to understand. People feel like we have to sweat for long periods. I think there is benefit to that. Doesn't work for me and my chronic pain. 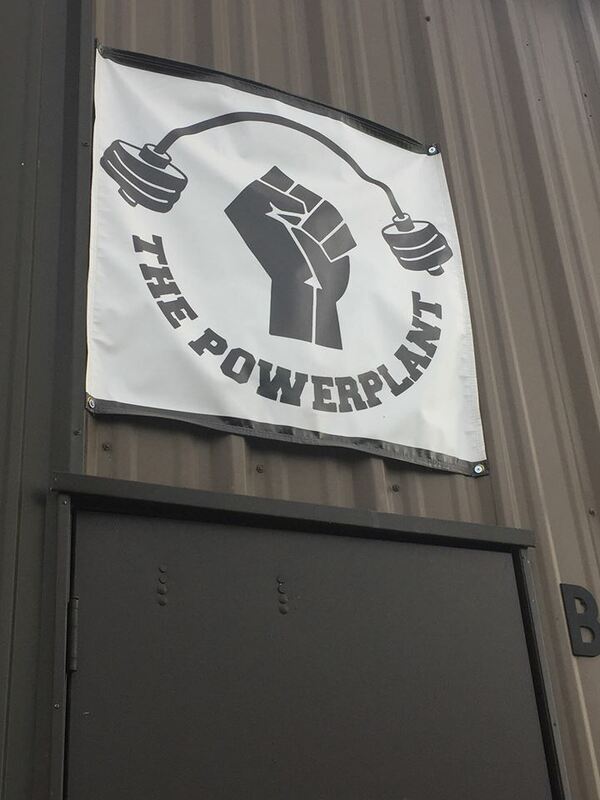 A friend, who happens to have a state record for lifting and hadn't mentioned it, sent me to meet a trainer. A really cool place. So I may compete next year. Time for bed and some lifting tomorrow. Had some help on my form and suggestions for stretches. Also had a redirection of order of my lifts. So tomorrow I go Deadlifts, Squat, Bench, Pull-ups, Overhead, then Curls. See how it goes. If you're in Albuquerque and like the idea of a place with heart and soul, check out this place! On 6224 Edith NE, 87107. I really appreciate listening to Lee talk about his view on the world. 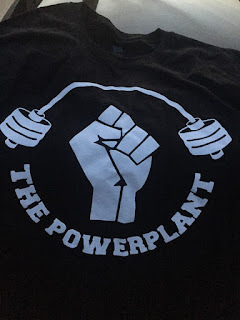 I thought I would have to work hard to create an anti-colonial, anti-capitalist workout environment and was trying to avoid thinking about that. It's not going to keep me from working out, however it does help!